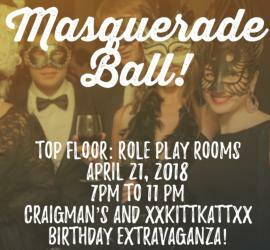 Come one, Come all to the Masquerade Ball! 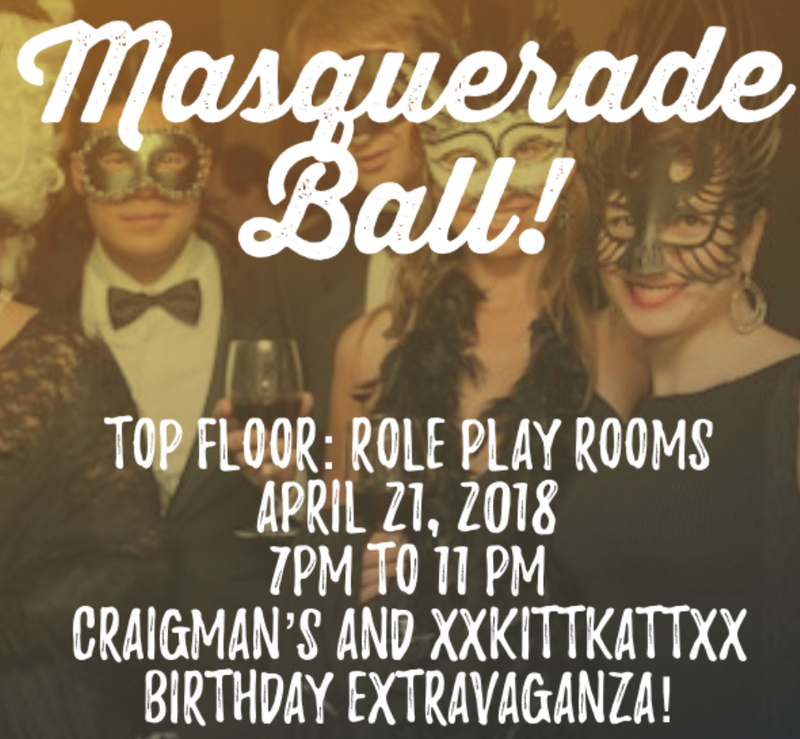 Craig and kitty cordially invite everyone on the planet (the Planet 3DXChat) to Top Floor to celebrate their birthdays! We managed to survive one more trip around the Sun and we're goin' 'round ag'in! Time: This Saturday from 7 PM to 11 PM, EST. Dress to impress (whatever that may mean for you, we don't judge). We wanna see your beautiful soul, but don't forget the mask!